NTFS-3G is a free, open-source read-write NTFS driver developed by Tuxera Inc. 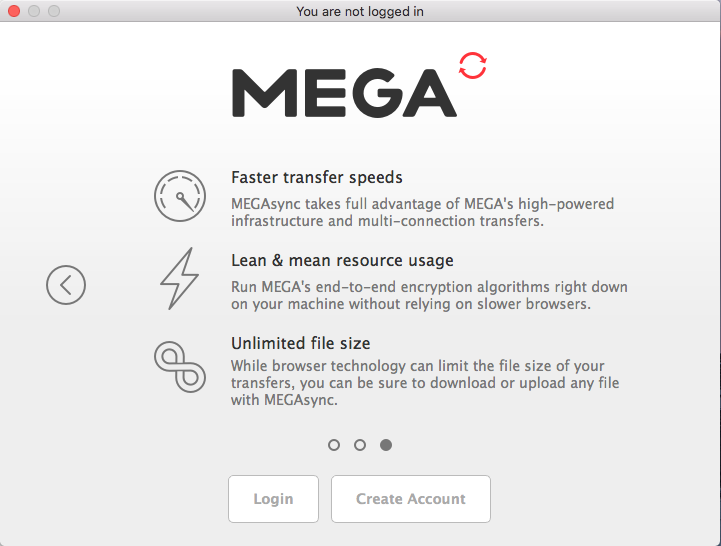 However, the latest update for Mac version was released in 2012, and the current version is not compatible with the latest macOS operating system. 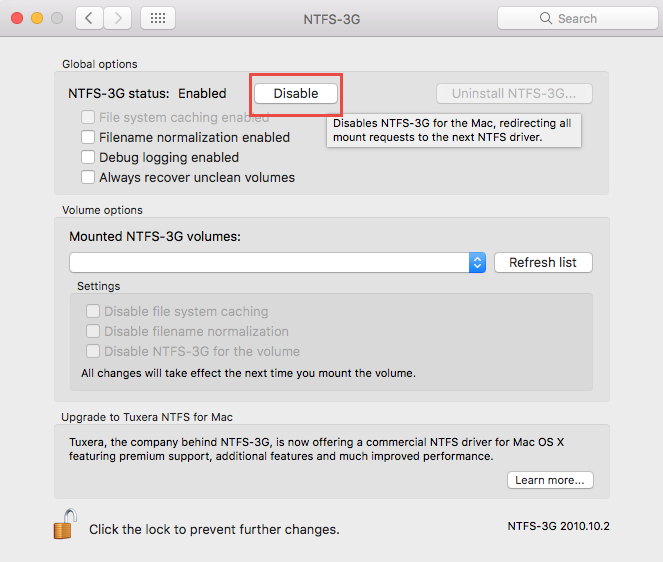 If you consider to upgrade your Mac to High Sierra, NTFS-3G will not be working any more. Encounter incomplete uninstall when trying to delete all components of NTFS-3G? 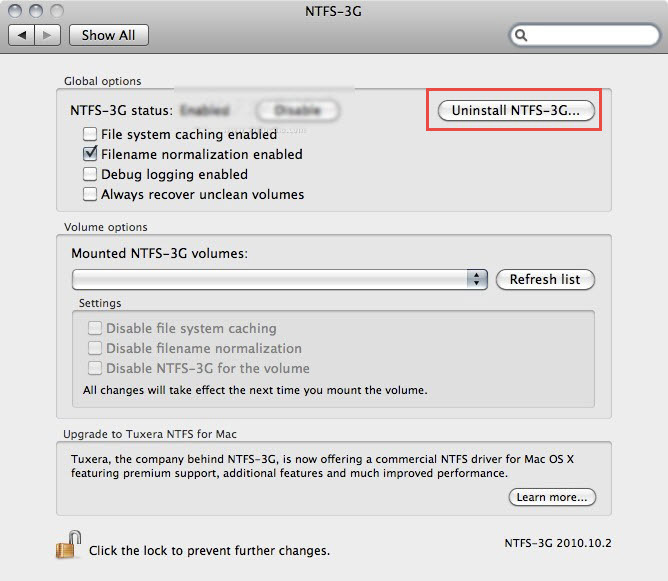 Wondering how to truly uninstall NTFS-3G from your Mac? In this page we will first show you the three steps to manually uninstall NTFS-3G, and then recommend a more effective and hassle-free way to remove any unwanted app within a few clicks. 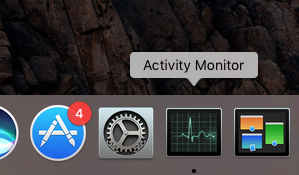 Open up Activity Monitor from Dock, via Launchpad or in Finder. Type NTFS-3G in the Search box, and select the process that contains the keyword. Click the X icon on the upper left corner, and click (Force) Quit in pop-up dialog. Uninstalling NTFS-3G is a little different from uninstalling other third-party apps. The standard way of uninstalling an app from in the /Applications folder is not quite proper to uninstall this app. Here are two available way for uninstalling NTFS-3G. Head to the Apple icon in Menu bar, and choose System Preferences. 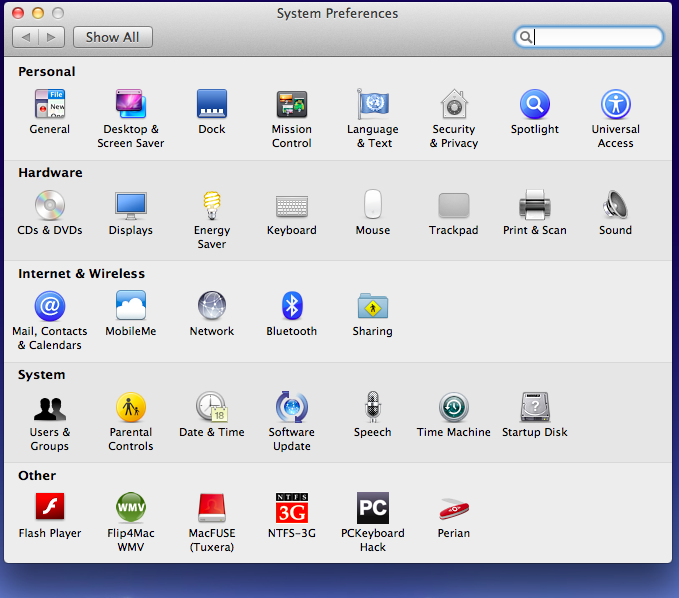 As the System Preferences pane opens, click the NTFS-3G at the bottom. Click Uninstall NTFS-3G button in the Global Options section. If the button is grey, click the Lock icon and type your admin password to allow the change. 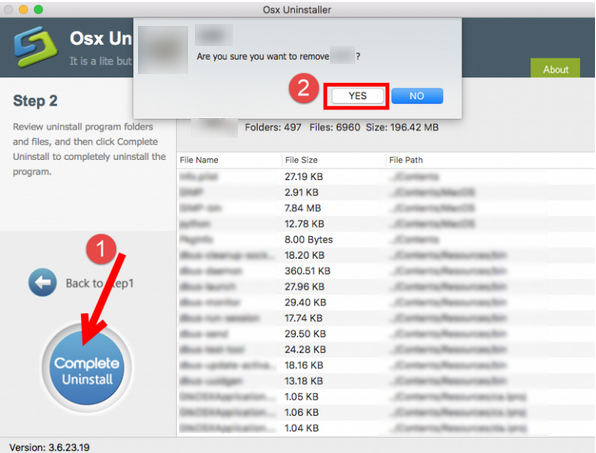 Follow the prompts to finish the uninstallation, and then reboot your Mac. 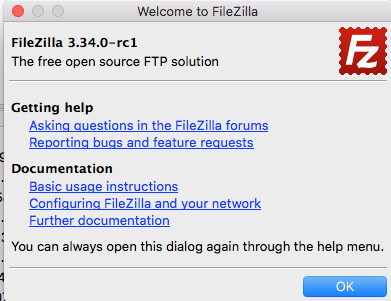 If NTFS-3G is enabled, click the Disable button before clicking Uninstall NTFS-3G button. 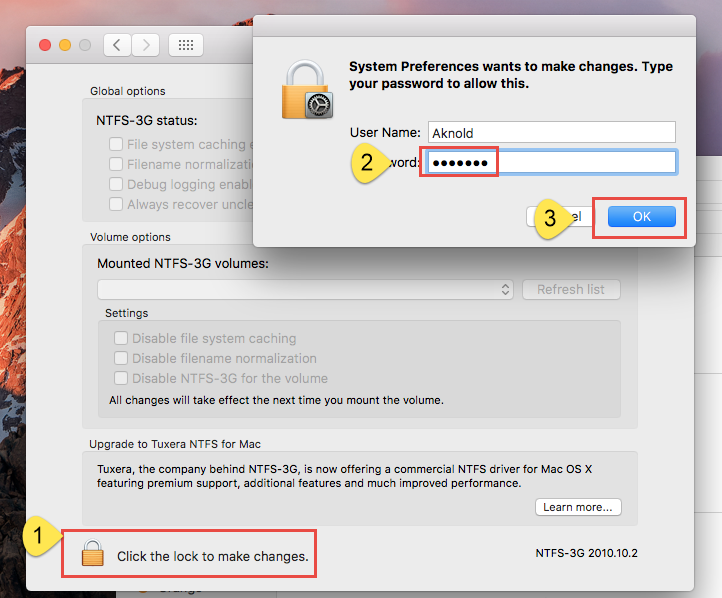 And after the uninstall, if the NTFS-3G icon still appears in the System Preferences pane, right click on it and choose Remove NTFS-3G Preference Pane. If for some reasons, the aforementioned way fails, try the alternative way below. 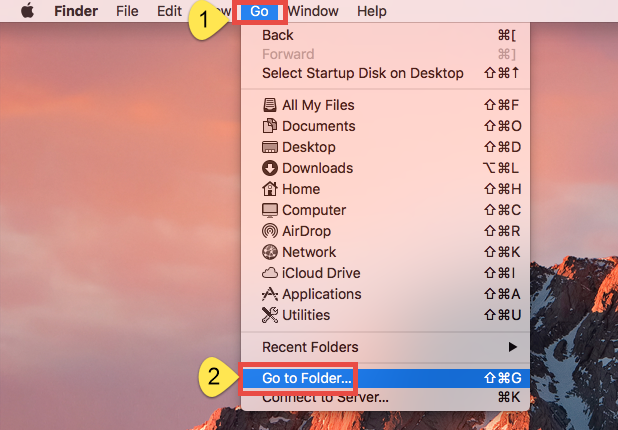 Open up Finder, and choose Go > Go to Folder from the menu bar. Double click to run the script named uninstall-ntfs-3g.sh. Note that the location that stores the script file may vary in different operating system. 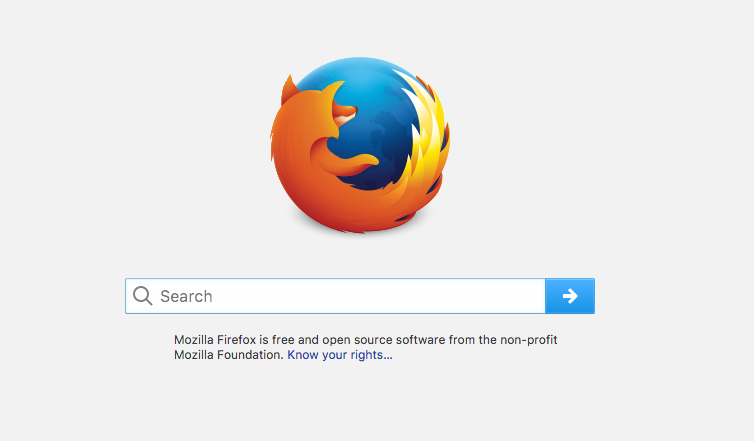 In ~/Library, click Search in upper right corner, and type in NTFS-3G (or Tuxera). Click “Library” under the bar to show the result in the specific folder. After that, repeat the steps to delete NTFS-3G leftovers stored in Library folder. Finally, empty the Trash to permanently get rid of all NTFS-3G traces. 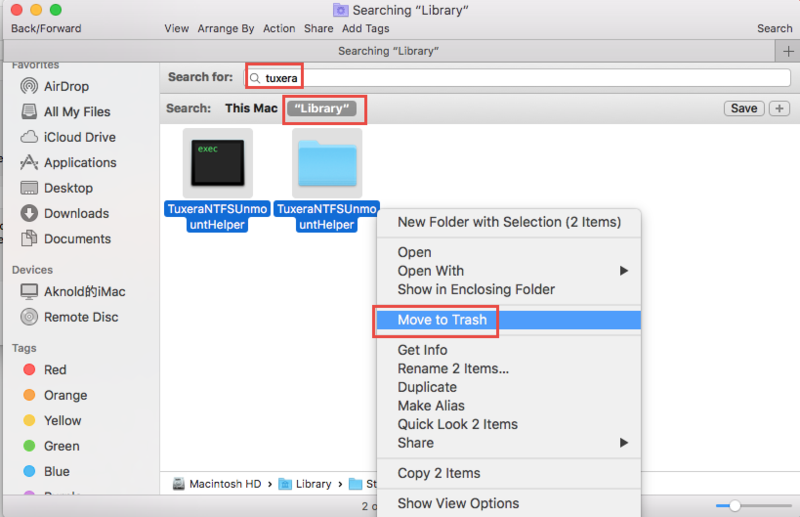 For now you should have successfully uninstalled NTFS-3G and remove its remnants from macOS/Mac OS X. Mac beginners may feel a little sophisticated to complete all the manual uninstall steps. Well, if you wish to be exempted from the tedious, laborious work, the one-stop solution shown below may be more suitable for you. 1. 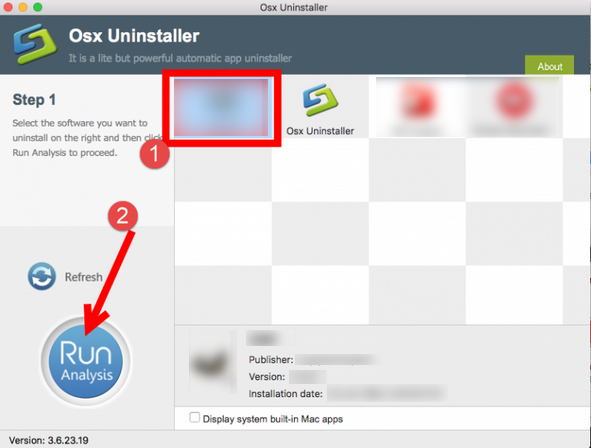 Launch Osx Uninstaller, select NTFS-3G and click Run Analysis button. 2. 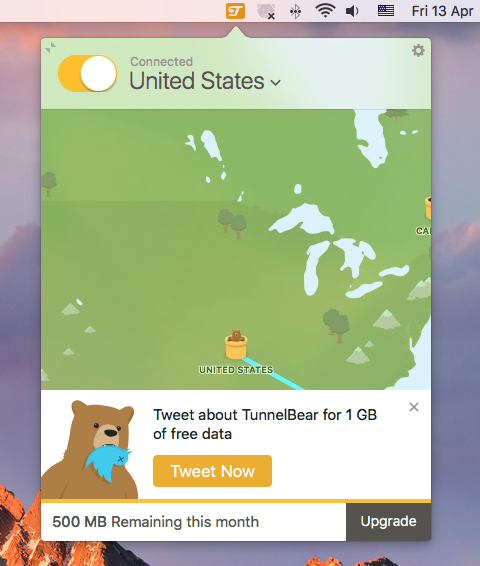 Click Complete Uninstall, and then click Yes to execute the uninstall. 3. Click on Back to Interface button to re-scan currently installed apps. You can repeat the same steps to remove other apps associated to NTFS-3G. The whole process is streamlined, easy-to-operate and time-saving. To conclude, this post contains detailed instructions to guide you to uninstall NTFS-3G. Which uninstall option do you prefer to take? 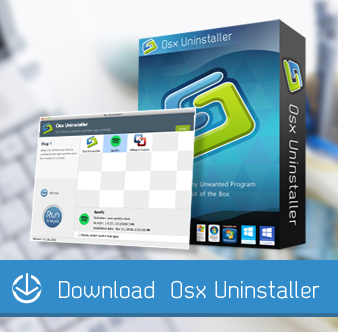 Anytime you are caught in uninstall troubles, a handy uninstaller like Osx Uninstaller can offer comprehensive assistance, but note that this tool requires a valid license key to work perfectly.